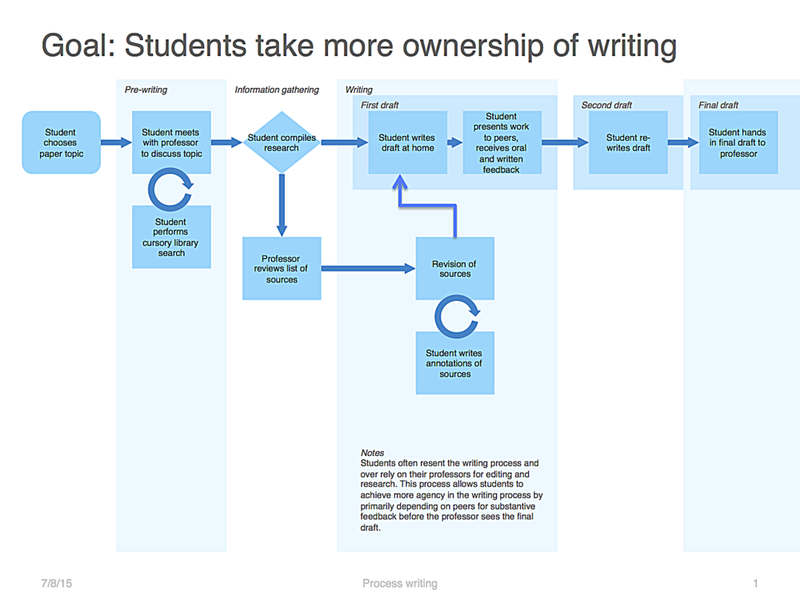 Case study of my redesign of process writing at the University of Minnesota. Professors were unhappy with the final projects being turned in by students, and students were unsure how to conduct research and write in a foreign or second language. I developed a process writing workshop for the faculty in the Department of Spanish and Portuguese based on a method I developed for students in my own classes. The focus for faculty was on how to empower and encourage students to take better ownership of their own writing and research. This process included using my background as a specialist in Second Language Acquisition to develop an experience map as well as a user journey map to show how the process would work. allow students to discuss their projects and help one another flesh out their ideas. The implementation of this method in my own classes resulted in students taking more ownership of their writing, a less stressful writing process, and significantly better final papers, resulting in a vastly better experience for both students and faculty.